Transparency is the name of the game: clear conversations with customers, industry and other stakeholders is a rock in the foundation of the ongoing effort to procure new information technology in line with promoting partnership with the private sector for innovative solutions through programs like the Presidential Innovation Fellows and other efforts employing teamwork in the industry. Recently sworn-in Commissioner of the GSA Federal Acquisition Service Alan B. Thomas, Jr., is a calm, cool and collected representative of this collaborative guiding force behind the organization. 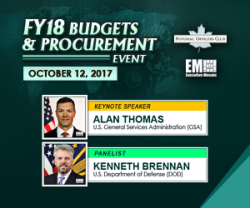 Thomas has pledged to continue efforts streamlining the acquisition process and voice support for the 2018 National Defense Authorization Act, which includes provisions for the GSA to maintain an online acquisition marketplace and the promotion of shared services options provided by the agency. Tasked with the reorganization of Technology Transformation Service (TTS) into an acquisition service, Thomas is the ideal captain of GSA’s varsity FAS team. Whatever the weather of the federal climate may be, Thomas confidently fronts GSA’s FAS with more than two decades of experience in both industry and government. He previously led a small technology company in establishing access to the federal market through Schedule 70, managed profit and loss for a successful Alliant Small Business prime contract holder and used GSA procurement vehicles to acquire professional services while serving as a government program manager. 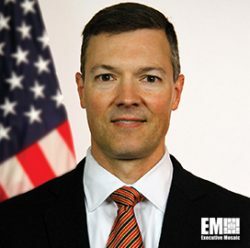 His experience also includes public sector service in the Office of the Undersecretary of Defense for Acquisition, Technology and Logistics at the Department of Defense. Commissioner Thomas will be addressing the Potomac Officer’s Club as the keynote speaker at the FY18 Budgets & Procurement event to be held Oct. 12, 2017 at the 2941 Restaurant in Falls Church, VA.